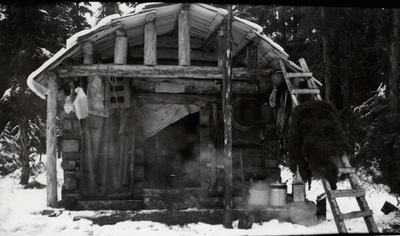 The cabin of Frank Abbott, trapper and hunter, near Escondido Lake in upper Kittitas County, Washington. "Cabins" (1930). Frederick Krueger Photographs. 931.